With the resident vegetarian serving at a local soup kitchen this evening, I took the opportunity to make something really meaty, really rustic and really delicious for dinner. 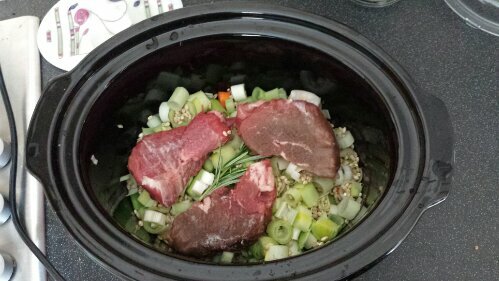 The best bit is it’s really easy too, just a matter of throwing everything in a slow cooker and letting it do the work. 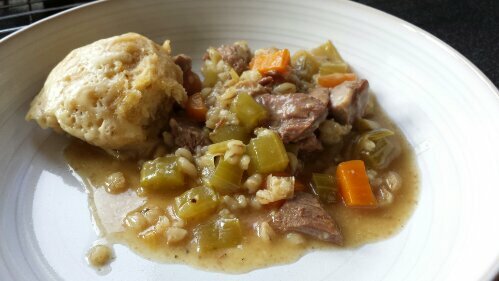 I chopped up some leek, carrots and celery, tossed in a handful of pearl barley, salt, pepper, some fresh rosemary and a couple of lamb leg steaks and covered with lamb stock. Let it cooked for a few hours then take the steaks out and shread them. Put the meat back in. In a bowl, rub 180g of self raising flour with 60g of very cold grated butter. Add in a large pinch of salt, some garlic powder, pepper and then mix with approximately 150ml milk until you have a dough. 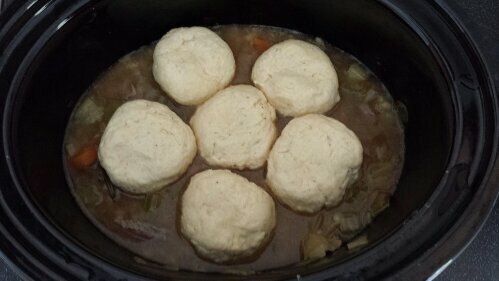 Shape into dumplings and place on top of the stew. Make sure there is still enough juice in there to stop the stew drying out. 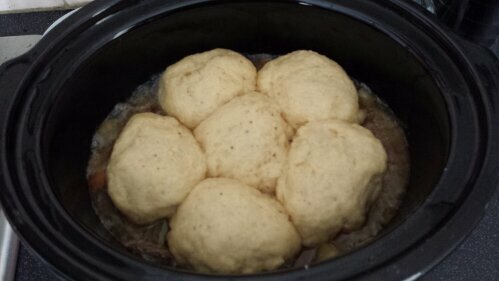 Put the lid back on and the dumplings will start to cook and puff up. Half an hour before you’re ready to eat top the dumplings with some grated cheese and put the lid back on. 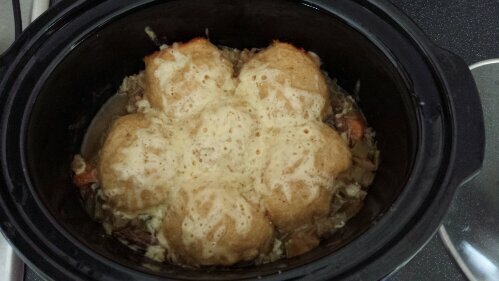 Et voila, you’ll end up with hearty yet light fluffy dumplings to mop up all the delicious gravy of the melt in the mouth slow cooked lamb. Delicious. I have been utterly disorganised this week when it comes to meal planning, which resulted in me gawping in the fridge at 5pm trying to decide what I could hash together for dinner. (Thankfully) We’d had friends round for afternoon tea so didn’t want anything too heavy. Some left over mash, half a left over trout, some spring onions, seasoning and a polenta crumb later, dinner was served. 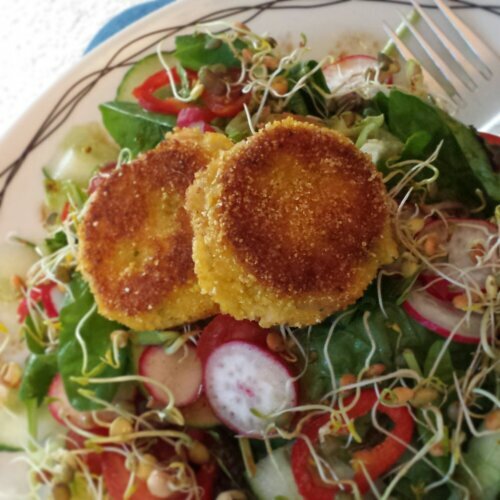 Trout fishcakes with a crispy polenta coating served on whatever salad I could find in the fridge. Quick, easy, nutritious and delicious. Happy days.